Signing up for a guided cycle tour is a major commitment. Getting it wrong doesn’t only mean you end up on a bike trip that doesn’t deliver the experience you were after – it could also mean wasting time, money and (for non-retirees) a precious chunk of your annual holiday allocation. Are you one of the pack or a lone rider? So, what’s the best way to pick a bike trip operator? Price, reviews and dates are probably key factors to consider but, assuming you’ve decided on a particular country, what else do you need to think about? 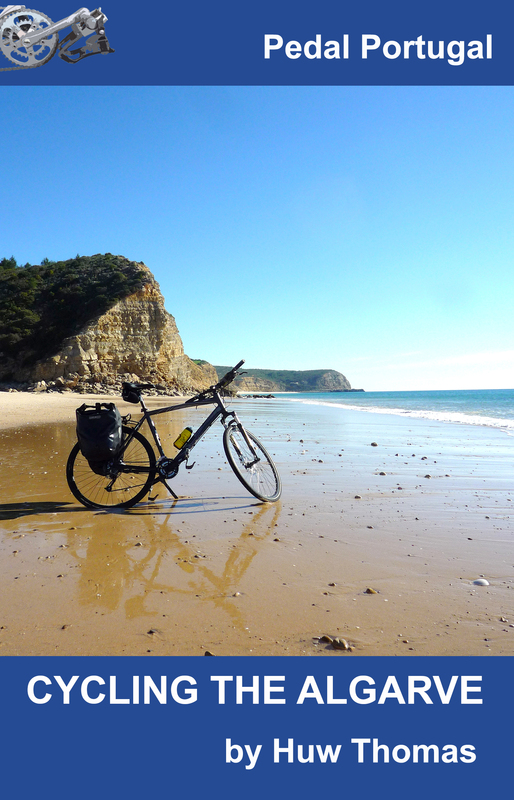 I started running guided bicycle tours of Portugal about three years ago. Prior to that, I’d done some long unsupported tours in various countries but I’d never been on a guided tour. When designing my own tours, I started by simply thinking about what I would want if I was a paying customer. For the purposes of this article I’ve used a similar logic – plus drawing on the experience we’ve built up running tours and dealing with the needs and expectations of our riders. I wouldn’t claim to be able to give you all the answers but hopefully, it’s useful. For the article, I’ve also assumed you want to go to Portugal. After all, why wouldn’t you? The landscape is wonderful, the towns ooze history, the natives are friendly, the sun (normally) shines a lot more than it does further north, the wine’s cheap – and good. Oh, and there are plenty of quiet roads where you’re unlikely to encounter any other cyclists. One obvious starting point is price. Unless you’re an expert on the country and know exactly what you want to do and where you want to go, one way of comparing companies is cost. 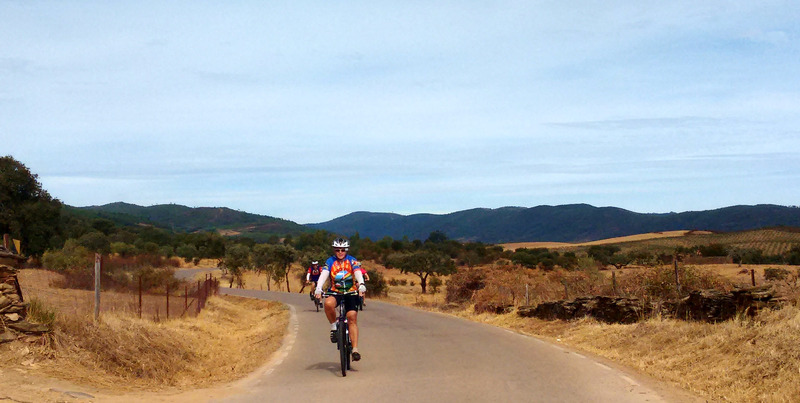 Below are six examples of bike tours in Portugal and their prices. I’ve got no connection with, or direct knowledge of, any of these companies but have picked these as they illustrate a range of different operators and the tours are of roughly similar length. Porto to Coimbra – €1,500*: This tour is operated by Headwater, the UK arm of a group of travel companies running activity holidays all over the world. This nine-night trip includes seven days of riding and is the cheapest option here. However, although luggage transfers are included, this is a self-guided cycle tour. Porto to Lisbon Atlantic Ride – €1,620*: This is a tour from Exodus, another major player in the international activity market. The trip is advertised as eight days but if you read the details it only involves five days of cycling. However, it is fully supported. Castles & Wine – €1,700: Next up is a tour from local company Portugal Best Cycling, which has been operating since 1990. This eight-day trip involves six days on the bike. Prices vary depending on the number in the group and various other factors but the cost given here is (per person) for an all-inclusive supported trip for a group of four. Alentejo Heritage & Wine Country – €1,990: Another Portuguese firm, Live, Love, Ride takes a different route through the Alentejo on their tour but also start in the regional capital of Évora. This seven-day tour includes six days of riding. The price is for a standard guided tour but the company also offers self-guided and “premium” options. 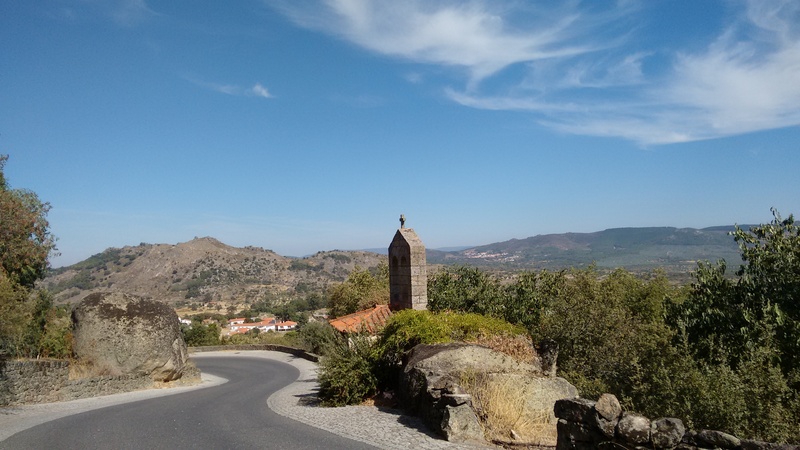 The Quiet Villages On The Mountains – €2,240: This trip from Portugal Bike is a tougher option aimed at riders happy to tackle more “advanced” terrain. It’s fairly expensive for a seven-day trip considering there are only four days of cycling involved (plus a rest day) but the company does flag up its four TripAdvisor certificates of excellence and 12,000 past customers. The Alentejo Heritage – €3,920: Another trip in the Alentejo but with a serious hike in the price. However, Bike Tours Portugal market their trips under the slogan “luxury on two wheels” and say they take their motto very seriously. There’s even a chef for the daily picnic. This seven-day tour includes five days of riding. *Advertised prices are in GBP £ – the prices shown here are based on the current exchange rate. 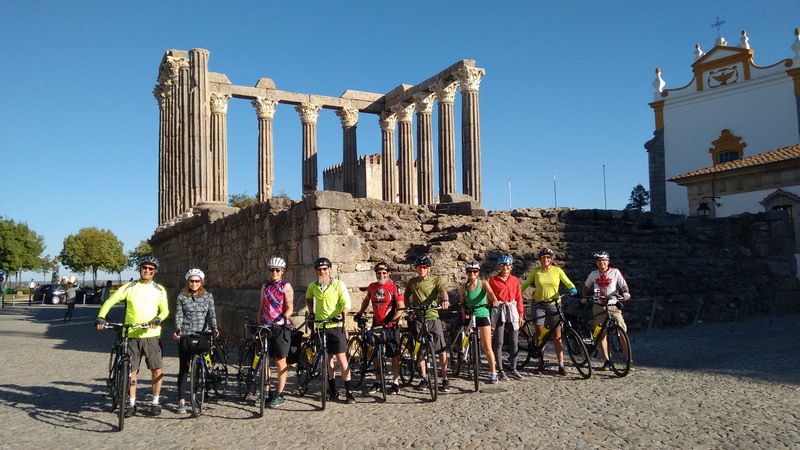 If you want to see how these trips compare with Pedal Portugal’s tours, take a look at our guided tours page. So, having looked at some price examples, the question is what other factors do you take into account? I wouldn’t claim the list below is exclusive – and different people will probably have different priorities. However, below are some other factors you may want to take into account. Where is your tour operator going to take you? Price may be crucial but – as seen from the examples above – you may want to also check carefully on how much actual riding you get to do during the trip. If you’ve come a long way (and paid a lot of money) for your tour, you probably want your money’s worth in terms of riding. Most people would probably want more than four days of riding if they’ve come to Portugal for a week’s cycling. But do you want to have to ride every day. From our experience, we know plenty of riders have no problem doing 60-80km in a day. But doing those kind of distances – particularly in the heat – on consecutive days can be quite taxing. After the first few days in the saddle, most riders appreciate a day to relax. Not everyone wants to rest, though. So you might also want to check what the options are on any rest days. Will your bike be available? Will there be someone to take you out or maps available if you want to keep pedalling? Or will you just be left to your own devices? Apart from the number of days of riding, it’s a good idea to know how far you’ll be riding each day – are they distances you are comfortable with? And can you ride those kind of distances several days in a row? But as well as the distance, what about the hills? In my experience, the gradient on individual hills isn’t the most important big issue. Although Portugal is a rugged country, it doesn’t have many really big mountains. You might get the occasional spot where you’ll hit a 15% gradient but that’s very unusual and they tend to be short stretches. On most roads hilly sections are more likely to be in the 8-12% bracket. And you’re more likely to be doing lots of ups and downs rather than long, long hills. What can be more useful is the daily elevation or height gain. Riding an 80km day across the Alentejo with an overall height gain of around 500m is very different kettle of fish from doing a similar distance in the more mountainous Beiras, where you might be climbing at least double the amount. The other big issue is temperature. Personally, I don’t run tours from mid-June to mid-September as it can just get too hot. Inland, afternoon temperatures of 35-45°C (that’s 95-113ºF) are normal, particularly during July and August. Things might be considerable cooler on the coast but spikes of up 40ºC are not unusual. Plus everyone else will be on the coast, accommodation will be at a premium, and the roads and beaches will be packed so it’s not really where you want to be cycling. Of course, some factors like the weather you can’t plan for. Most of the world seems to have had some crazy weather this year and Portugal got hit by some bad storms earlier this year – back in February it took my wife and I nearly four hours to do a 32km (20 mile) section to Beja because the wind was literally blowing us to a stop. Where have those shoes been? The trip you’ve signed up for may have been designed with enormous skill and loads of local knowledge. However, do you know who’s going to be leading the tour? With a small company you’re much more likely to be dealing with the people who run the business. A multi-national may give you the reassurance of a familiar brand name, but the boss is unlikely to be the one there dealing with the hotel and restaurant bookings or helping to fix your bike at the roadside if something goes wrong. Whether this is easy to do or not will probably depend on the operator, but you might want to try and find out who will be guiding your tour. Are they local, have they done it before…and will they fix your flat tire? Reviews are obviously a very good way to assess a company. But can they be trusted – or how much can they be trusted? TripAdvisor seems to have developed a monopoly in this field but it is certainly not infallible. I use the site a lot when researching restaurants but it can be infuriating and you have to learn to read between the lines. My personal bugbear is people who post one or two star restaurant reviews…but never actually ate at the place in question. They’ve slated a restaurant for the crime of being closed or having no tables free when they turned up (probably after all the other happy diners have eaten their fill and gone home). I want to know what the food was like! TripAdvisor is probably a good thing for tour operators with hundreds or thousands of customers. But for smaller businesses it can be a much more dangerous tool – reviews from happy customers are great but if one person has a bad experience (regardless of who’s fault it is) and savages the operator online it can really harm their profile. Many companies (Pedal Portugal included) use reviews from their customers to tell you how good the tours are. These are a good indicator…but can you be sure they are not just publishing the ones they want you to see? If in doubt, one option is to ask your prospective tour operator if they can put you in touch with a previous customer who can tell you about their experience. If you’ve not been to the country before then the chances are you are relying on the expertise of the tour operator to direct you to the best places for your cycling tour. 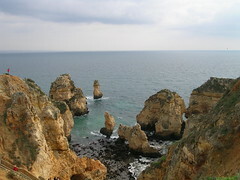 Most people have heard of Lisbon and Porto, while the Algarve gets 90% of Portugal’s package tourists. The Douro is also pretty well known. Will you be following the herd or escaping to the back of beyond? But I wouldn’t really recommend riding in or around either of Portugal’s main cities. You can, but if you’re only in the country for a week or so you might as well head for somewhere a lot quieter and more scenic. 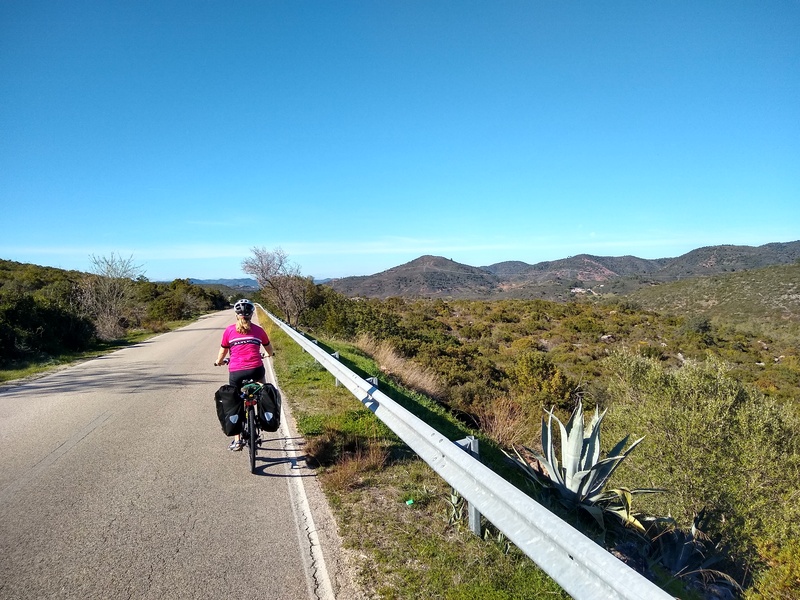 The Algarve’s not bad out of season if you avoid the bigger resorts but personally I wouldn’t pick the Douro for riding on my own, let alone leading a tour group – it’s beautiful but most of the roads are very narrow and fairly busy with no room for cyclists. Plus there are only roads along the valley in some parts and some fairly major climbs if you have to leave the river itself. The Alentejo is one of the most popular parts of Portugal for cycling for the simple reason that it is relatively gentle in comparison with most of the rest of the country, and has plenty of quiet roads to explore as well as lots of castles, churches, historic towns etc. And some of the best wines in Portugal. As mentioned previously, the heat is also a major factor when thinking about when to go to Portugal. Forget July and August. The winter can be a good time for cycling in the far south, spring is great for the wildflowers (although the weather can be a bit more unpredictable), while the landscape can look a bit barren in the autumn/fall but this is probably the driest time of year. You may also want to find out a few more basics about your particular trip – starting with how many other riders will there be and how many guides. Another factor to ask/think about is how the tour operates on a day-to-day basis. Do you all ride as a group? Can you go off and do your own thing? Do you want to ride on your own (in which case self-guided may be a better option) or do you want to ride with other people? We’ve heard stories from people who’ve been on tours in other countries where they were in such large groups they never really got to know everyone on their trip. Then there was a tour where the guide rode in front at a speed suitable for the slowest person in the group – and no one else was allowed to go past the guide. That may not be a problem – but if you think it might be then you need to know. With a guided tour you should be able to assume your luggage is taken for you in the support vehicle – although it may be a good idea to check if there is any weight/size limit before turning up with a 50kg shipping trunk. Unless you’re an expert bike mechanic yourself, another factor to consider may be what kind of support you get on the road. Are you supplied with tools/spares? Is there someone who can help you if there’s a problem with the bike? Where’s a shoe mechanic when you need one? As with all these things, if you’re unsure or worried about the answers to any of these questions, the best thing is to ask before you book. Last but definitely not least on my list of things to consider is what’s actually included in the price – and the quality of what’s on offer. Your tour will probably include accommodation and most meals. But you may want to check what those meals are and what happens on any occasions when there’s no food on offer. One of the great things about cycling is that it allows you to consume loads of calories that you then burn off cycling. But you don’t want massive meals all the time. One of our riders had previously been on a guided tour in Spain where the group was taken to a restaurant every lunchtime. Apart from having much more food than they needed at that time of day, getting a three-course meal for everyone also took up way too much time when he’d rather have been cycling. Bike hire will probably be extra so look at what’s available and check the price – including any extras/accessories like helmets, locks or panniers. Who’s got the spare inner tubes? If you have any dietary requirements you should also definitely let the tour operator know before booking anything. It’s possible to be a vegetarian in Portugal but it’s still not common. Most menus are heavily meat and fish orientated and very few restaurants will advertise vegetarian options. We’ve also had riders who are gluten and dairy intolerant. This isn’t a major problem but gluten-free products aren’t available in every little town or village so it’s important to know in advance. Hopefully this article has provided some useful food for thought. If you are looking for more general information about cycling in Portugal – such as our Top 10 Tips – there’s plenty of information available on the general website, particularly in the Planning section. Comments, suggestions and additional information are always welcome – both on this article or anything else on the website. And if you want to know about our guided tours – including dates, details of individual trips and reviews – please click here! ← A Gap In The Market?